Stand-Offs are designed to hold signs, architectural panels, glass panels, banners, photographs, artwork and other materials a predetermined distance away from the surface upon which they are mounted. They can work vertically, horizontally, upside down or face up as needed. 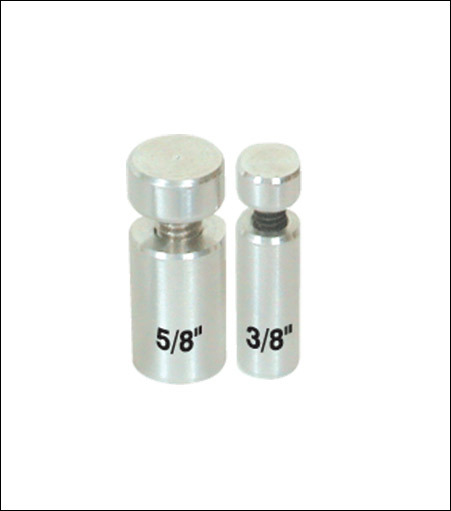 Solid Brushed Aluminum Stand-Off Includes Stainless Steel Post & Cap Screw.